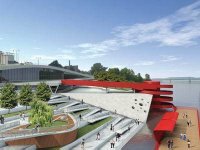 The TN Historical Commission has ruled that the RDC’s proposed Beale Street Landing project (BSL) will “adversely affect the Cotton Row Historic District.” Articles about the ruling in the Commercial Appeal, the Memphis Business Journal, and on several websites have raised new questions about the project and leave the old questions of need and location still up in the air. Where will Beale Street Landing be? According to the Commercial Appeal article, RDC President Benny Lendermon says BSL will be located between Tom Lee Park and the cobblestones. But based on the RDC’s current site plan, on top of Tom Lee Park and the cobblestones seems more accurate. Maybe the RDC’s new $20,000 3-D virtual tour, mentioned in the Business Journal article, will clear it up. Maybe the virtual tour will give details about the RDC’s plan for the other end of Tom Lee Park, too. Jim Holt, president of Memphis in May (MIM) and member of the RDC board, told the Business Journal that over time, park changes have reduced Tom Lee’s size, and Beale Street Landing will do it again. 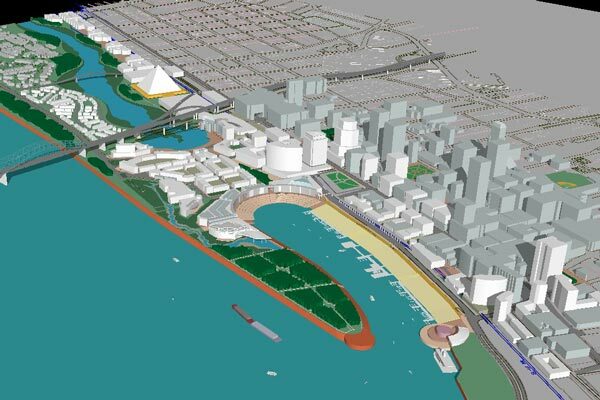 To recapture some of the lost space, the RDC has proposed “gaining some space on the park’s southern tip, which hasn’t been usable because of a dramatic slope in the terrain. There has been talk of leveling,” he is quoted as saying, which raises questions about: Which dramatic slope is to be leveled? How? When? What’s the cost? Who will pay? What will MIM do in the meantime? And equally important, what’s being planned for the historic cobblestones and when? Federal money for the restoration of the cobblestones was approved years ago, and the original RDC masterplan showed the cobblestones being restored down to Beale Street. So far the historic landing has been neglected, and today it is in worse condition than when the RDC was put in charge of the area. No details about plans for the cobblestones have been presented. According to the newspaper articles, the next step is for the RDC and the TN Department of Transportation to meet with “stakeholders” to go over concerns and determine what changes are necessary for the project to comply with guidelines and be eligible for federal funding. Memphis Heritage and Friends for Our Riverfront are recognized "consulting parties," and we will let you know when we receive information about the meeting and process. To access newspaper articles, blogs, and illustrations, click on the links below. All newspaper articles on BSL, including John Branston’s “Garage Gate Part II” for the Flyer, are in the FfOR library Freshbits and are listed chronologically. 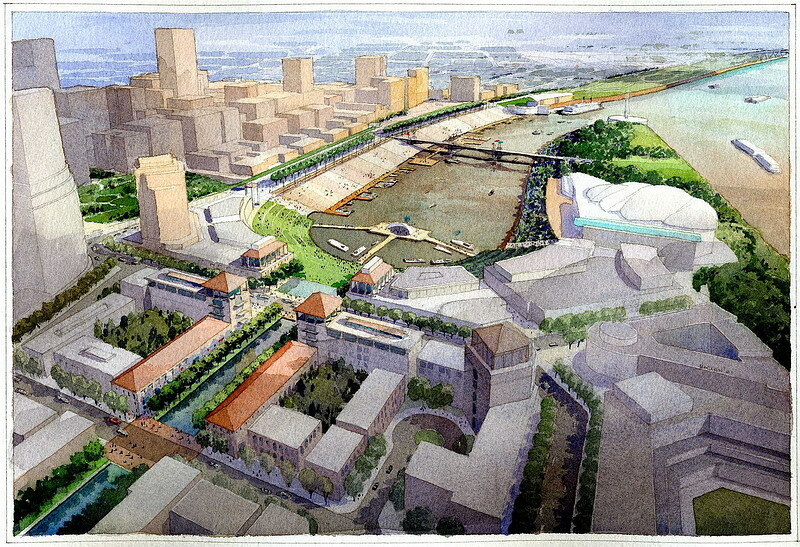 Beale Street Landing - what, where, why, who, ... Do we need it? Can we afford it?